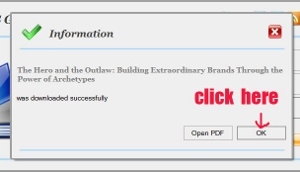 I have shown you how to copy free book preview pages from Amazon Look Inside! via Kindle tab. First, there are not that many books with preview pages from Amazon site that can be copied. Second, the number of free preview pages available from books at Amazon is far less compared to book preview from books at Google Books. So definitely, the better method is to copy those free preview pages books which are available from Google Books. This post I show you how to copy those freely available preview pages from books which have "Preview" option with a free tool. 1. Download and install the free tool called FSS Google Books Downloader. 2. After you have installed this free tool, you launch or open it. This is how it looks like. 3. First you click on the "Browse" icon next to the empty space, titled "Save to", to choose where you want to save your copied Google book preview pages. 4. When you click on the icon, a box pops up. 5. Make your own choice where you want to save the copied book preview pages. 6. You can save it onto your "Desktop" or you can add a new folder by clicking on the "Make New Folder" button. 7. After you have decided, then click the "OK" button. 8. Underneath the "Save to", there are three options for you choose. 9. 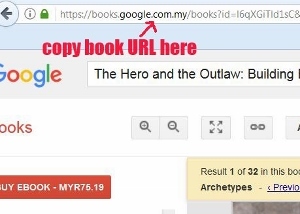 This is for you to specify the output of the Google book preview format. (PDF, JPG or PNG). 10. If you just want to read the preview pages, then you set it at: PDF. 11. But if you want to use it and you need to edit the text with these preview pages, then you set it at: JPEG. 12. When you set it as JPEG format, the finished copied files comes with each individual page. So later when you want to convert it to PDF or Word, when you want to to edit the text, it is easier. Note: How to edit the text from these preview pages is explained below. 13. The "Resolution(px)" and "DPI", you can just leave them as they are, in "Default" mode. 14. After the settings are done. 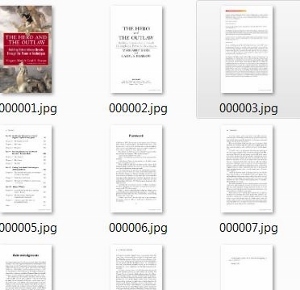 Leave the FSS Google Books Downloader interface there for the time being. 15. Now, let's find out how to copy the preview pages. 1. Go to Google Books. 2. Type in the book title in the blank space provided. 3. Next you either click on the magnifying glass icon next to the book title, or you press the "Enter" key on your keyboard. 4. Make sure the book which you like to copy must has the word "Preview" under the book title. 5. If it doesn't have the word "Preview" or it has just the word "Snippet view", then it means you CANNOT copy the preview pages from this particular book. 6. In other words, you can only copy the preview pages, if the book featured in Google Books, has the word "Preview". 7. Then you click on the word "Preview". 8. It will open a new page with all the available preview pages, starting from the book cover. 9. 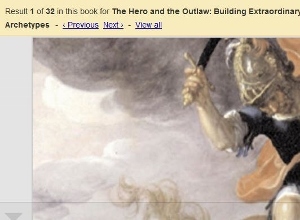 Copy the full URL of the book at address bar at the top of the computer screen with your cursor. 10. Now go back to the FSS Google Books Downloader interface. 11. Click on the "Paste URL" button. 12. It will start to download onto the interface. 13. Wait for a while, until you can see the book cover together with the book title and other details inside the interface. 14. Next, select your preferred finished format: PDF, JPG or PNG format. If you want to edit the text later, then set to JPG format, as I have just explained above. 15. Click on the "Download" button. 16. It will start to download and save the preview pages onto the location which you have set in your computer. 17. Once it has finished, a box will pop up with the title of the book together with the remark "was downloaded successfully". 18. Click the "OK" button. It's done. 19. You can close the FSS Google Books Downloader interface, by clicking on the "cross" button at the top right hand corner. 20. Now you can find the copied book preview pages folder (named after the title of the book) at the location where you have saved. 21. 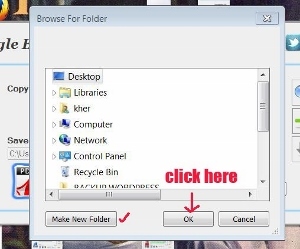 Double click on the folder and it will open up. You can find all the saved preview pages inside the folder. 22. 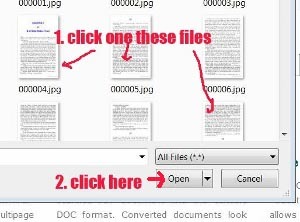 If you wan to read a specific file or page, double click on it and it will open up. Note: At this stage, this copied pages/files CANNOT be edited. It is in JPEG format. 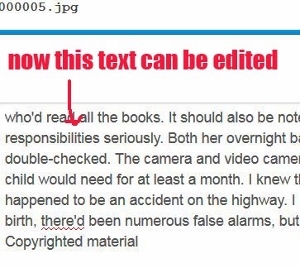 If you want to edit the text of the copy, you need to convert this JPEG format to Adobe PDF or Microsoft Word with the free tool called OCR (Optical Character Recognition). You can use the free online OCR tool over here. 1. First you select the language to be used and for the "Output formats", choose "Microsoft Word (docx)" . 2. Click on the "Select File..." button. 3. A box pops up. 4. Select a page from your book preview pages folder and click on it. 5. Then click on the "Open" button. 6. Once the process is finished, a blue color horizontal line will run across the page. 7. The captcha code next to a box pops up under the blue line. 8. Now enter the same captcha code (numbers) into the empty box provided. 9. Next you click on the "Convert" button. 10. Wait for it to process. 11. Once it has finished, you will see text appears below. 12. Now this text can be edited and copied. 13. Just hover your cursor over the text and click on it. It is just like the normal Word format.